Ever had a rough day in ministry? The kind of day that leaves you tired, discouraged and drained? David had one of those days. Check out what it says about this in 1 Samuel 30:6. Talk about a bad day! The people David was leading decided they were going to kill him. Imagine as a leader, listening to your team members discuss killing you by stoning. That's enough to discourage even the best leader on the planet. The verse said that David was "distressed." Do you ever feel that way? Stressed out? Burned out? Ready to walk away from serving in ministry? I have and I'm thinking you have as well. What did David do? Notice what the verse says. "David encouraged himself in the Lord His God." What set David apart as a leader was the fact that he was self-propelled. Here's the definition of self-propelled. "moving or able to move without external propulsion or agency"
David's ability to keep going as a leader wasn't dependent upon external forces. His driving force was internal. It was not controlled by external forces. Let's ask ourselves this question. Where does your motivation to continue serving come from? What propels you forward? What moves you upward so you can clearly see what's coming? If you want to be a leader that lasts, then you've got to be self-propelled. The good news is this - it's available to you. As you spend time with Jesus on a daily basis, He will fill your tank with "fresh oil." You can then use that "spiritual oil" to continue moving forward. On this journey, you will face opposition. If not now....it will happen down the road. 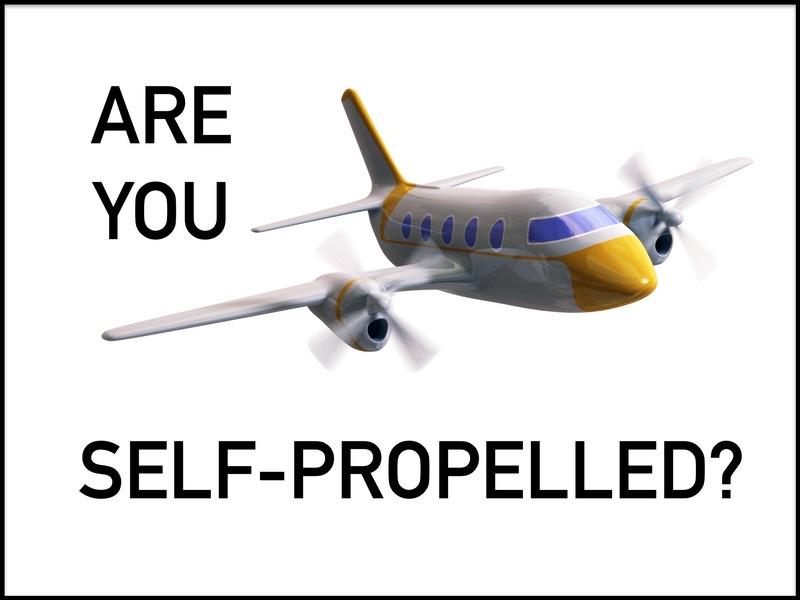 When it does, will you be self-propelled? If you need encouragement to keep going, will you find it within? Will you be able to "encourage yourself in the Lord? Self-propelled. It's the only way to last and go the distance in ministry.